The Kensington range features a traditional design, manufactured to the highest standards using the latest technology. 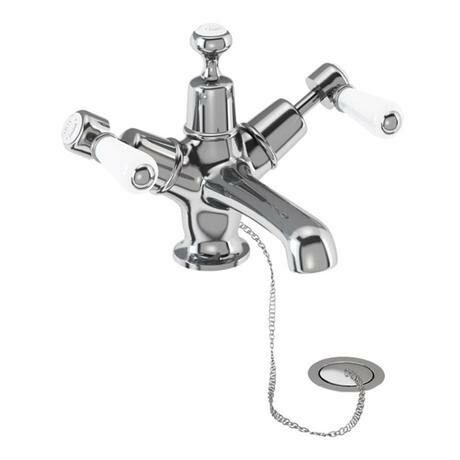 All Kensington taps have a ceramic lever tap head with a ceramic indice in the centre. Comes complete with a Plug & Chain and has the option to have a high level or low lying centre piece for decoration. Q. Does the end of the chain attach to the back of the taps or to the basin? Hi, the chain will attach to the basin. Thanks! Looks good quality though not used as yet.